"These paws uphold the laws! Every citizen of Adventure Bay knows not to worry when Chase is on the case. And every little Paw Patrol fan loves seeing the serious (at least when he's working) police pup save the day! 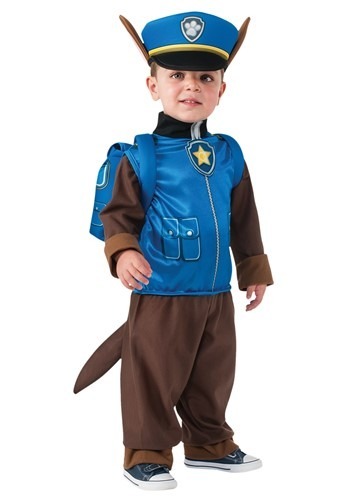 Now, your little one can dress up in this licensed Paw Patrol Chase Child Costume, and play as his favorite furry hero from the popular Nickelodeon series! Chase may be a loyal German Shepard, but if you were to ask him what kind of dog he is, he might tell you that he's also a purebred police pooch. He loves being a police and security dog more than anything, which is a good thing because he's so great at it! Running around, sniffing out clues, and rescuing those in trouble are all in a day's work for this tough pup. As much as he loves doing his job, though, he still loves playing and relaxing when there aren't any emergencies to run to! Your little guy can get in on all the excitement when he's dressed up in his own cool police pup uniform. 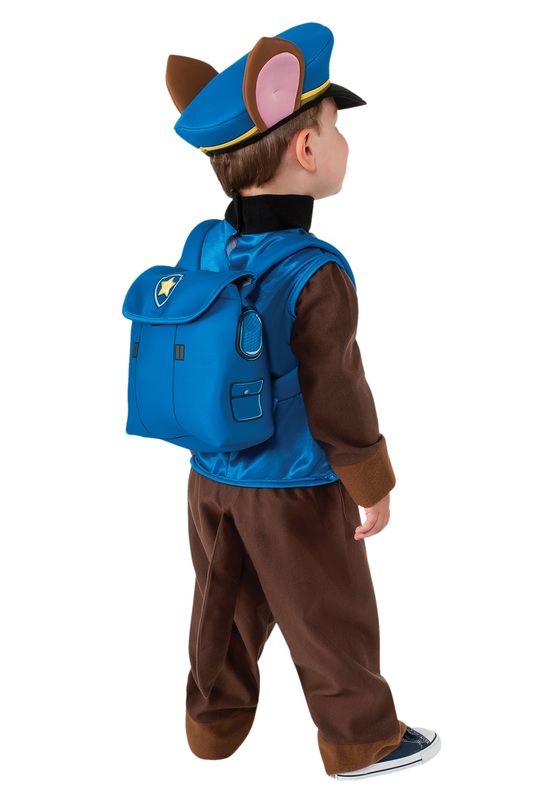 The one piece jumpsuit is designed to look just like Chase's outfit in the show, and even features a stuffed tail to wag around. The included police hat comes with attached dog ears, and the "pup pack" is great for stashing treats, candy, or any other goodies a police pup may need. Adventure Bay will be in good hands with your little one on the job! He loves it!!! Thank you so much!!! my kid is so happy! i love the details and the accessories! so cute! Fit my 2 year old perfect I really loved it. I would recommend! Fit great and looked great!